Nasa has asked its lawmakers not to participate in vetting Cabinet appointees as the coalition intensifies its protest against President Uhuru Kenyatta’s election win. Their five-point resolution reached after a meeting at Maanzoni Lodge, Machakos County, chaired by leader Raila Odinga on Saturday, indicates that they do not recognise the election of Mr Kenyatta. “We have not individually and collectively delegated our sovereignty to Uhuru Kenyatta,” the report read. 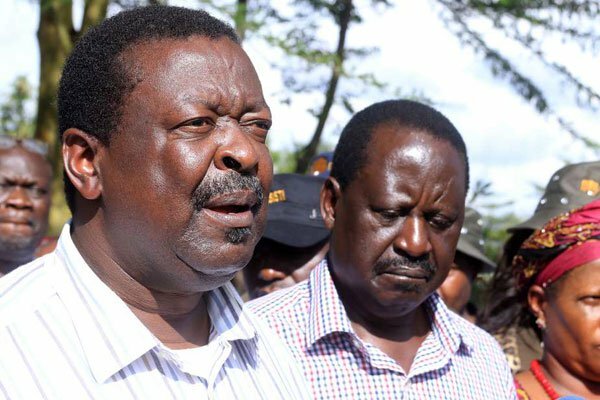 Further, co-principal Musalia Mudavadi said they will use legally available options to protest the October 26 victory, regardless of being upheld by the Supreme Court. Mr Mudavadi also urged Kenyans not to attend the swearing-in of Mr Kenyatta at Kasarani Stadium on Tuesday; and instead attend the memorial service of victims of police brutality to be held at Jacaranda Grounds in Embakasi on the same day. Earlier in a press conference, Nairobi police commander Japhet Koome said that the coalition has not informed the police about the event. “We are not aware about it. We have not been notified. So, whoever thinks he has intentions to do that [and] he does not involve police, why don’t you tell that person that the law will deal with such a situation firmly?” Mr Koome said.